With 1.24 million km², the republic of Mali is one the biggest countries in Africa, with 17.6 million inhabitants. The infant mortality rate is 77.6 deaths per 1000 births and 44% of the population live below the poverty threshold. The economy is largely based on agriculture, which offers huge opportunities: as reported by the FAO, the surface of pastureland is approximatively of 30 million hectares of which only one third is used, notably because of a lack of access to water and losses caused by trampling, fires or rangeland erosion. Extremely affected by resource scarcity, the rural areas are also the ones where lives the vast majority of the population. 80% of Mali’s inhabitants depend on livestock, which is constricted by diseases, lack of infrastructure in the matter of animal health and production, and lack of opportunities to develop value chains for meat, milk and leather. As result, animals are mainly sold alive, and the farmers get little added value from sales of animal products. Adding to the economic difficulties, instability has increased during the past few years, especially in the North. Inhabitants of the northern regions are fleeing to the south or to neighbouring countries in order to escape from insecurity. Assisting livestock keepers’ organizations and local authorities in designing and implementing concerted plans for pastoral development: pastoral water use, securing transhumance routes, regenerating fodder resources, creating cattle markets. Supporting local cooperatives that provide dairy products to the market by improving hygiene during milking and animal health, and developing milk collecting points, mini-dairies and selling points in the city. Improving animal (poultry farming, milking stables, etc. ), plant, and grain (fonio, rice, etc.) production and assisting in the creation of more than 170 cooperatives for the use of agricultural equipment (small motorized equipment and equipment for hitching to animals). Reducing greenhouse-gas emissions by distributing bio-digesters to cattle farmers. Post-emergency programs: rehabilitation of water points and wells, food aid, securing agricultural harvests. 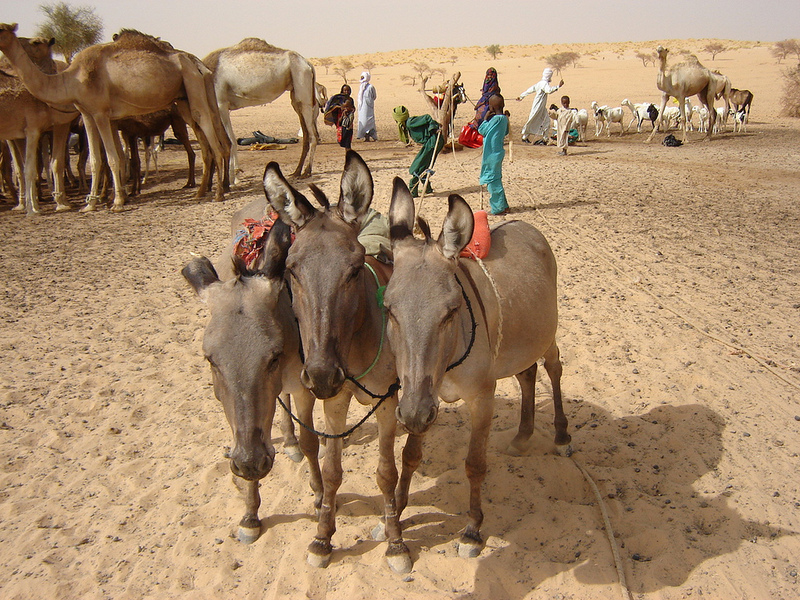 Providing mobile animal and human health services in Northern Mali.